Evam Entertainment is an award-winning theatre entrepreneurship which has the mission of ‘futurising India’s theatre’. 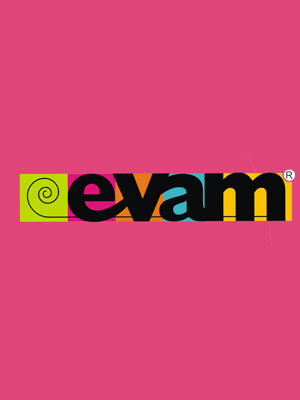 Evam was founded in 2003 by two 26-year-old graduates from Mudra Institute of Communications, Ahmedabad (MICA). Evam today is 10 years young and a thriving organisation with more than 25 plays and 450 performances to its credit. After being featured on CNBC ‘Young Turks’ in 2007 and making it to the Top 30 finalists of Tata-NEN Hottest Start ups, 2008, Evam was also the India winner of the Young Performing Arts Entrepreneurship (YPAE) award given by the British Council. Evam also won a director’s fellowship programme at the Kennedy Center for Performing Arts to Washington DC in 2010. In 2011, Evam was awarded a fellowship in Arts Management at Devos Institute of Arts Management, Washington DC. Evam’s production of ‘The 39 Steps’ was nominated under 8 categories at the Mahindra Excellence in Theatre Awards (META) 2012 and bagged the awards for Best Lighting Design and Most Innovative Sound Design. 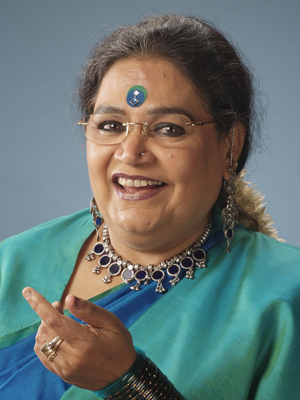 India’s very own pop legend, Usha Uthup needs no introduction. A Padma Shri award winner, she can sing in over 15 Indian languages and several foreign languages. Her list of admirers includes Indira Gandhi and Nelson Mandela, among many others. From jazz to Bollywood, she has left no genre untouched. Usha has lent her glorious voice to the two volumes of the evergreen Karadi Rhymes. Her renditions of these popular rhymes have enthralled the young and the old for over a decade. 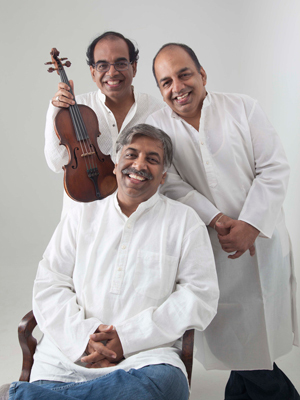 The much-acclaimed band, 3 Brothers & A Violin comprises Viswanath Parasuram, Sriram Parasuram, Narayan Parasuram, and Sriram’s violin. They are the musical geniuses behind Karadi Tales audiobooks. The band has also composed music for the children’s film, ‘Jjantaram Mmantaram’ and more recently, for the animated version of Upendra Kishore Ray’s classic, ‘Goopy Gawaiya Bagha Bajaiya’.